The First Chapter Award is presented to a young alumnus or alumna who has distinguished him or herself in a chosen career. 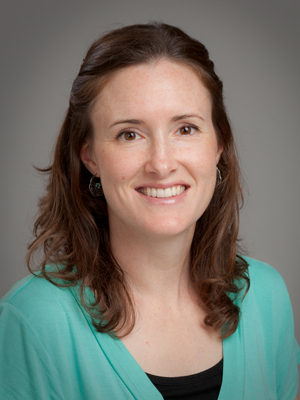 A 2004 graduate of Trevecca, Dr. Julie Todd majored in biology and minored in chemistry. She met her husband, Kevin (’04), at freshman orientation, and they were married the fall after graduation. They then spent six months volunteering in Argentina. She attended the University of North Carolina School of Medicine in Chapel Hill, N.C., from 2005- 2009. She completed her residency in Family Medicine at Ventura County Medical Center in Ventura, Calif. During medical school and residency, Todd was active in local church ministry, helping Kevin with youth ministry and attending a house church in California. She is currently on faculty at Hendersonville Family Medicine Residency Program in the mountains of Hendersonville, N.C. In addition, Todd works for Blue Ridge Community Health Services, a non-profit community health center. Through her residency teaching position, she still does hospital work, including obstetrical deliveries and in-patient medicine. In her clinic, she does everything from prenatal care to pediatrics and geriatric medicine. Her clinic is the oldest migrant health center in the country, taking care of farmworkers moving north from Florida following the growing seasons. Julie and Kevin have two children, Rowan (4) and Elaina (almost 2). As a family, their goal is to embrace local agriculture, social justice, and community reconciliation.